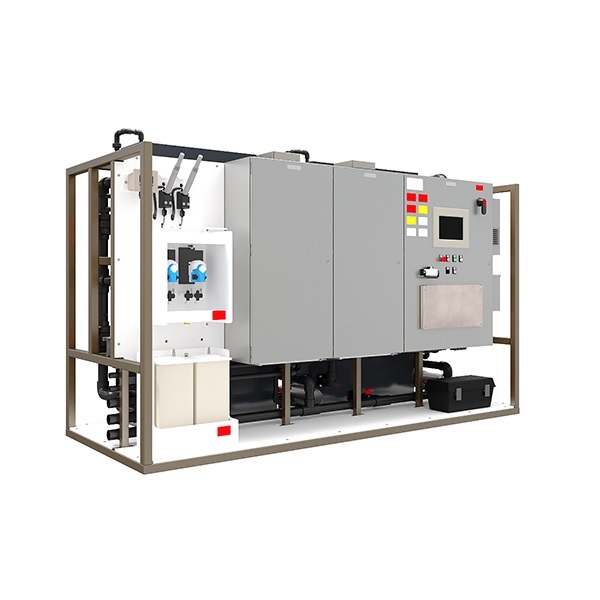 Module consists of a two feed pumps and two contact chambers. Ozone can be applied at the inlet of the chamber at the midpoint of the chamber. Unit can be run in series or in parallel allowing for the ability to side by side ozonation studies. Both trains are fed from a common ozone control panel and both trains are connected to an ozone destruct unit. Feed flow is maintained through automatic PID flow control. 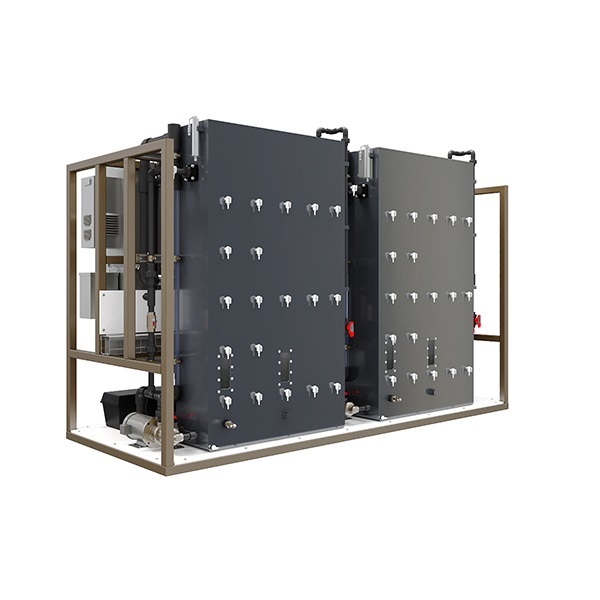 Depending on the contactor configuration, contact chambers have either twenty-five or fifty volumetrically-spaced ports for sampling dissolved ozone. The ozone generator is air-cooled with an integral oxygen concentrator for creating ozone from ambient air, and shuts down automatically if a leak is detected. Ozone delivery is flow paced with direct entry of ozone dosage or ozone gas concentration. Ozone is delivered through a fine bubble diffuser. Ozone gas sensor zero calibration can be performed manually, or automatically based on runtime without interruption of ozone delivery to the contactors. Other features include automatic data logging of key parameters, secure remote monitoring and control over the internet, and email alarm notification.